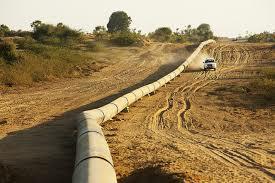 Two new pipelines will be built to carry natural gas in Oklahoma and Kansas and the deal involves Williams Cos. of Tulsa. Williams is joining forces with Targa Resources Corp to build the 188-mile NGL “Bluestem Pipeline” from the Williams fractionator in central Kansas and the southern terminus of the Overland Pass Pipeline. 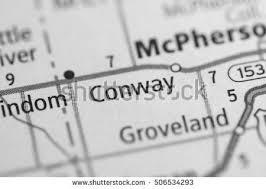 Conway is a small town located several miles west of McPherson, a city that sits along Interstate 35. The new line will interconnect with Targa’s Grand Prix NGL line in Kingfisher county. 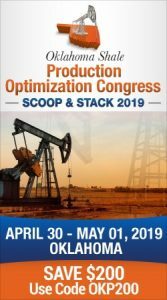 Targa will construct a 110-mile extension of the Grand Prix from southern Oklahoma into the STACK play where it will connect with the new Bluestem Pipeline. In connection with this project, Williams has committed to Targa significant volumes which Targa will transport on Grand Prix and fractionate at Targa’s Mont Belvieu facilities. Williams will also have an initial option to purchase a 20 percent equity interest in one of Targa’s recently announced new fractionation trains 7 or 8 in Mont Belvieu. Targa’s Grand Prix extension will have an initial capacity of approximately 120,000 barrels per day and is expected to cost approximately $200 million. Targa and Williams are targeting an in-service date of first-quarter 2021 for both the Grand Prix extension and the new Bluestem Pipeline, respectively. As part of the project, Williams also plans to expand the DJ Lateral of the Overland Pass Pipeline and make improvements at its Conway NGL Storage facility. Williams expects its investment in these NGL logistics projects to be $350 million to $400 million.